I have never seen a steam station. it looks like it would really be a time saver. Noy something i can afford right now. Like the dress! I have tried these irons and are great for getting a great press…would love one in my sewing room. There are two things I like the sound of on this iron. The great steam, not having to fill as often and no automatic shut off. Nothing is more of a time waster then having to wait for the iron to reheat. Mr. & Mrs. Claus, they look rather dashing!!!!! I am in the market for a new iron…hmmmmm now to justify this purchase. I’ll put it on my list for 2014. I’ll bet your party was a blast. Sounds like the party was a blast! I’ve used these irons before at my local quilt shop, they ARE fantastic! This looks like a fantastic toy! Irons are so important in our lives, and this one has all of the greatest features. Christmas is celebrating with family and friends. so glad you had a great time! love your reviews of things. is it too late to add to my christmas list? Merry Christmas! It is great to know of a iron that works. Thanks. Great photo of you and Nick. I am sure everyone had an awesome evening. I like your hair long, looks good on you. Merry Christmas! I have this iron and bought one for a gift! Love it! I love to iron. I need this iron. Cool iron! You and Santa look very happy together! Awesome iron……love the picture,,,,,,Merry Christmas!!! This iron looks amazing! Thank you for,the chance to win. Santa and Mrs. Claus look so festive. Bet the party was so much fun! Never heard of a Steam Station but if it is purple and made by Rowenta it has to be good. Will put it on my wishlist. Merry Ho ho ho! The picture is really cute. It looks like you had a great time at the party. Your iron looks awesome. Thank you for the chance to win. merry Christmas! That iron would be great for wool applique! My Christmas list is getting longer 🙂 Love the picture of you and Santa…your apron is soo cute! Lisa your pic is adorable!! Thank you for sharing. The iron sounds fantastic!!!! I’m sure my great Grandmother (who was a quilter) would have sold the farm and gave away her chickens for a Steam Station! Certainly will be on my must have list. Thank you Mr. and Mrs. Claus! Merry Christmas! Sounds like a great iron. Merry Christmas . I have 2 Rowentas – a travel iron and a larger steam iron that I love. This one looks like a power house! Looks like it’s another must have on my list. Thanks for the info on it. I really don’t like filling up the iron with water all the time either! So now I have a spray bottle filled with water and use that to spray my fabric when I need steam…..works for me. Cute Mr. and Mrs. Santa!! Merry Christmas! Looks like a great iron. 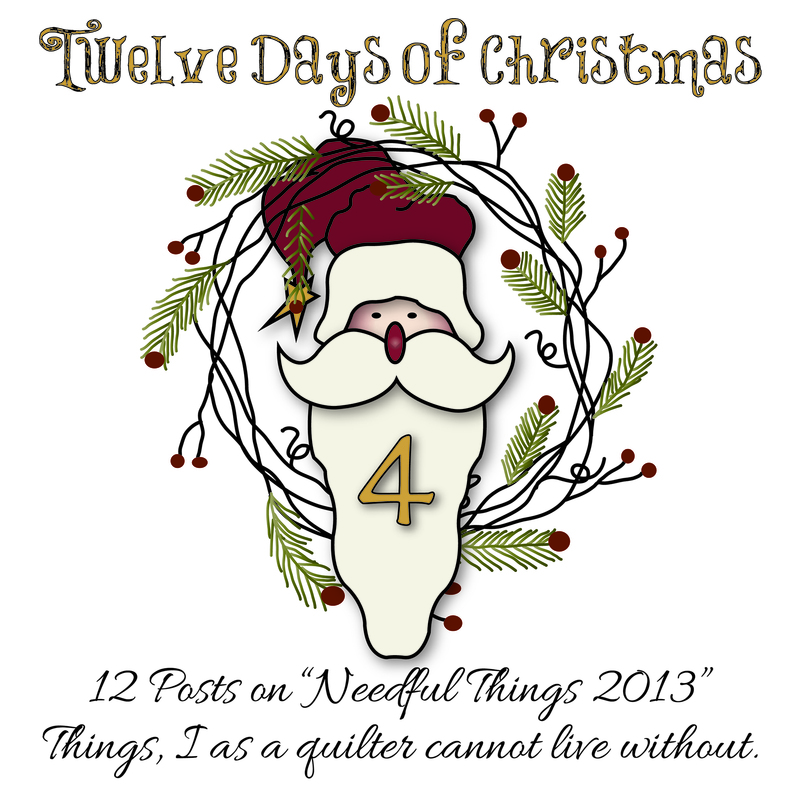 All of the needful things are perfect gifts. Wishing you a terrific Christmas with family. This iron will be on my list for next year. I better start being good now. I have never heard of an Iron Station either. Looks interesting. Best needful thing so far this year. Bet I’d have to be really good to earn one of those. Merry Christmas to Mr. & Mrs. Santa. Wow! This looks like a great iron. Glad your party was successful! 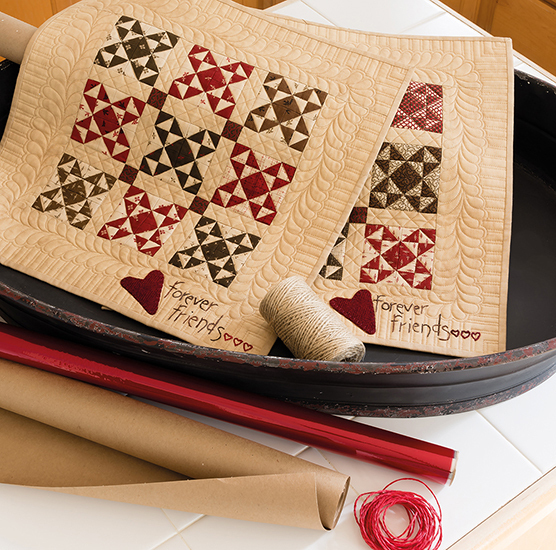 This iron would be a fantastic Christmas gift to use on all your special quilts! You and Santa are a great team !!!!! AND – a steam generator iron + a quilter —- talk about teamwork!! Looks like a great party! Wow! My list for Santa just got bigger! The iron sounds super! Finally, a steam iron that’s easy to use. I certainly iron more quilty items than clothing now but it looks like it would be good for all-cotton clothes too. And, I like the vertical steam option. Merry Christmas! This iron looks awesome! What a great addition to any sewing room. Sounds and looks like your party was a blast!!! Love, Love, Love Rowenta Irons! That iron would certainly be an up grade to the Rowenta I have. That Santa…. he has his arm around your waist! Snowing again on my screen. I’ll have to be content to come here and look at this for Christmas. Warming up here in the east… 60’s tomorrow! I’m originally from Milwaukee and I want SNOW!! Oh WOW! What a great sounding iron. I really appreciate all the neat things that you are showing. Most I have never seen. I wish this could be a daily feature-not just at Christmas! There are so many tools that we obviously don’t know about unless someone puts it out front for us. Looks liken the party was a lot of fun. The steam iron sounds great. I have never used one. I have heard awesome things about this product. I steam personally with envy of those who are fortunate to own it already. Santa??? I feel a good iron is one of the most important pieces of equipment for a quilter and this looks like a great one. What a nice iron, I actually love the ironing process as I am quilting. I hope you told Santa that you have been very nice this year! I didn’t realize that there was an option of not having the pressure. 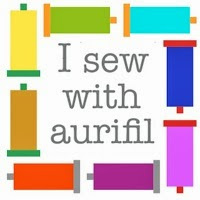 I used one with pressure at a charity sewing day,and having to wait to refill had me puzzled. I think I understand now, and you are right–without pressure is the way to go. That Rowenta S.S. looks like the ticket to same fabulous pressing. With that 6 ft cord, a water tank that holds over 1 QT of water and no auto shut off, one could get a lot of serious travelin’ done! You & Saint Nick make a cute Ho,Ho. Sounds like you lived to talk about it! This looks wonderful. This is the prize I want to win! Fantastic iron!! Thanks for throwing my name into your give away Santa hat!! Another item I wish I had! Thanks for the chance to be gifted! Cute dress. Cuter Santa. Would like to win the iron. Great picture of Mr & Mrs Claus. Sounds like the party was a fun one….would like to win the iron. Thanks for all the great giveaways. Great pic, looks like fun! 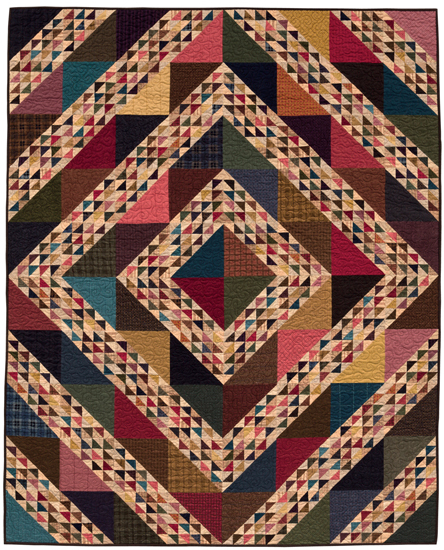 Thanks for your review of the iron, hard to justify the expense without input from other quilters. Hmmm. Sounds like I may need one of these–my Oliso seems to have some sort of virus and has been puking on my fabric! Wow! This little iron looks awesome. I want Santa to bring me one! I have one that is about three years old and LOVE IT. Next time the professional model – would love INSTANT steam. Everyone should find a way to order one. You know Santa – its Christmas and Birthday for the next (fill in the blank) years. Merry Christmas to all. I have Iron Envy!!!! You not only have one but 2! You are a lucky girl! I have put it on my wishlist from Santa (hubby). You and Santa look cute together! Thanks for the chance to win something! I think this is a great improvement to have less pressure. It’s so nice to have an iron like this! This sounds like it would be so wonderful to have. 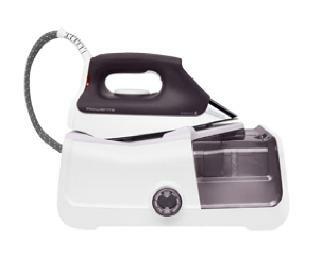 There’s nothing like a great steam iron to make your sewing going better. Now that looks like something we should all have. My wish list is getting longer and longer. There’s nothing as wonderful as STEAM when ironing, fusing, or just plain pressing! Thanks for the heads up on this – Can’t wait to get one! I really like hearing about your favorites. This helps me when making purchases and I have to admit that my wish list is growing rapidly this week. Merry Christmas. It appears everyone was having a wonderful time. That iron is awesome! I’ve never seen an ironing system like this before. I love using steam when I’m ironing, but my iron has started leaking and I hate when I get water spots on the clothes. This looks like it would be great to us. Great picture. I think it’s time for a new iron. Loved the party pictures. I could not do with out a great steam iron!!!! Sounds like an amazing iron!! Another great item found by you!! Thanks for sharing!! Definitely something to add to my wish list. What a great iron. I like lots of steam too. Thanks for sharing the party pics- looks like you had fun. What a nice looking Mr and Mrs Claus! I’ve never seen this iron before but it sounds amazing. This iron looks great! It seems like I am always adding water to my iron. It might be time for a new iron. Looks like the party was a lot of fun. Thanks for sharing the pictures. The iron is awesome. I really like your 12 days of Christmas – I am finding out so many great ideas. I actually went to buy a new iron and when I got to the store (in Brookfield) they told me the coupon did not apply to that iron and they were sold out aarrrggghhh. I can hardly wait until I am up around the store again so I can buy a lot of the items that you have me excited about. Wow! That looks like a fabulous iron! It isn’t in my budget right now after buying Christmas gifts for 5 boys but I can dream!! Looks like your party was lots of fun! Wow, now that is the iron to own. Looks like you had a great party with good friends and family. You guys are crazy funny…good times! Your party looked like a lot of fun. I can see why you would need a nap. The iron looks like a BMW of “irons”. What a fun party! The food and fashions look fab! What a wonderful iron. I have the pressurized version, which is wonderful, but early on, I released the steam valve to empty the reservoir before it cooled and I blew out a ceiling tile. It is funny now, not so much when trying to find ice and burn cream. To not have to wait to add more water would be AMAZING! I am dropping Santa a note right now! I promise I have been good! Great looking iron. We are so lucky to have all of these wonderful tools and appliances available for our use.-our ancestors would have loved to have had any of them when they were sewing and making quilts. Fun looking party and I really enjoyed your pictures. What a fun looking party! 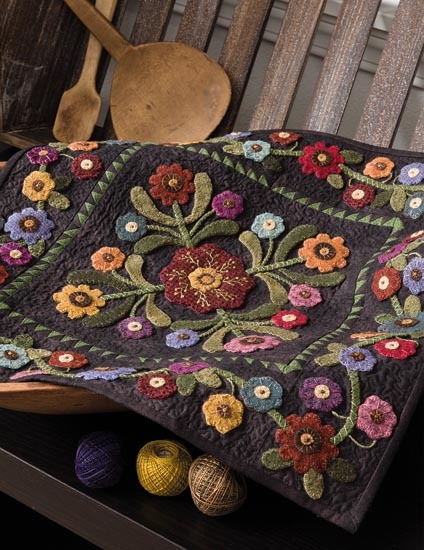 The iron looks like a wonderful addition to any quilter’s equipment. Would love for it to be mine!! That iron would be heavenly. For some reason I love to iron. Even as a young one I preferred my own ironing of my clothes even though my mother had a lady who ironed for her. As my mother said too often, it takes all kinds or types. Love your party pictures. What a fun theme for all of those grown ups. Professional iron for over 30 yrs but I think it’s time for a new one. I am still using an old iron I have had forever. These look wonderful. have to add this iron to my wishlist! The ruffled shirts crack me up! I bet that iron works like a dream….. Have to put it on the wish list for when my current iron give out. Thanks for including the video on Veterans talent. So true! A new iron would be the highlight under my tree…would love one this year as my outdated one just died. Best wishes for a Happy Holiday! What a awesome tool for quilting, I have to tell Santa about this, there is room in my stocking! Oh boy, I really need one of these! Iron looks wonderful, and thanks for sharing the pics. Looks like it was a fun party! I’ve loved all of you wish list items, many are new to me….but this iron is just over-the-top on the wishlist! Mr. and Mrs. Claus are just too cute! I would love to have this iron!!! I need to talk to Santa quick! I bet you asked Santa for something special for Christmas!!!!! Looks like a great item! Merry Christmas to all the staff at Primitive Gathering! You guys are such a great couple! Love your dress! Merry Christmas! Looks like a GREAT iron. I sure could use one of these. Love all the pictures. Looks like a great party! I will have to add the iron to my wish list. Hope you have a wonderful Christmas! Looks like a fantastic iron. Thanks for the chance to win one. Have a wonderful Christmas. Wow, this looks like a great iron, and will be added to by wish list. Merry Christmas. I believe a good iron is a MUST in the quilting corner 🙂 I have a hard time using anything but Rowenta…..this iron sounds even better!! Would LOVE to have one! Thanks again for all your needful things (and now some of MY needful things), my list is getting longer! Gee Mrs Claus, will you piease tell Santa that I have been a very good girl and would love one of those irons for Christmas…please, please please. Here you are helping us with our Christmas lists, (which are growing longer every day!) but you haven’t shared with us what is on your list? This iron looks like a wonderful addition to any sewing room! Looks like a great party. Yes, they are a lot of work, but the pictures and memories are forever. Looks like everyone had a fun time at your party! Guess I have to add this iron to the wish list too. Thanks for sharing your list of needful things. I haven’t seen some of the items before. Merry Christmas! Lisa, you’ve been such a good girl it has knocked that Santa’s beard right off! I agree about irons & steam, thanks for all the tips!